This was one of the best places I saw in Dubai. Even though it's far from being "glamorous", I really enjoyed the authenticity of this place, and getting to see a part of Dubai's real culture. 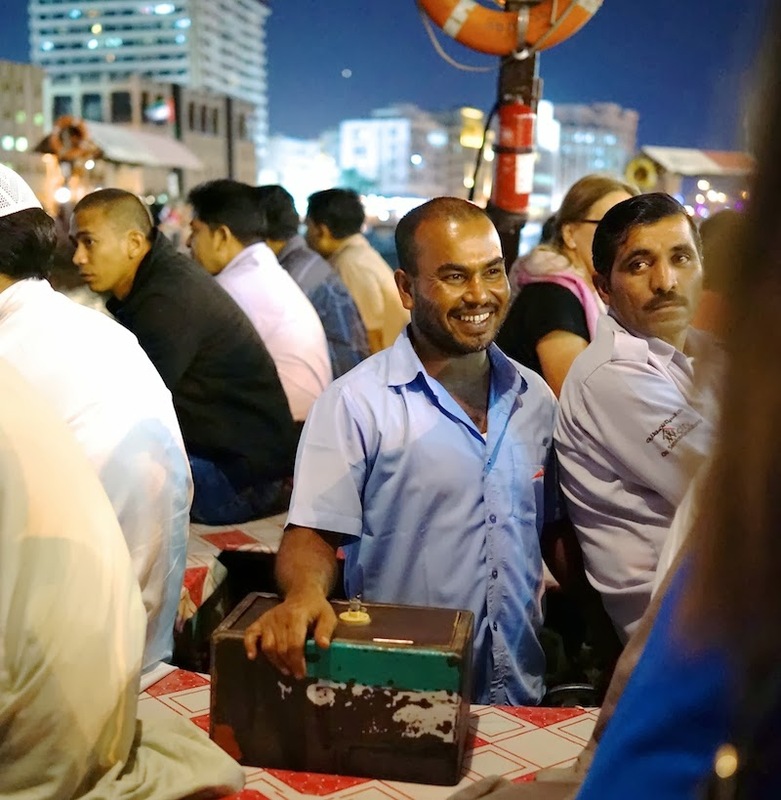 We drove about 20-30 mins from the main city to a place called Deira to visit the Gold Souk. "Souk" in Arabic means an open-air marketplace, which this definitely was. We parked the car, and then took a little gondola-like boat across a little creek which only cost 1 Dirham, equivalent to less than $0.30! Maybe this trip inspierd you to do an arabic make up tutorial! It was realy amazing and I hope to come back. Great pics!! Thank you for sharing!!! You are really gorgeous!!! You look so relaxed which is wonderful. I'm glad you're having a good time. What a colorful place. You look lovely! Can't wait to check out the vlog. I love your photos they are gorgeous. I hope to make it to Dubai one day. your pictures are crystal clear!! pixels are fantastic! what camera do you use? This market yes amazing! I would love to check it out next month when I go to Dubai! Hi Annie, could you do a make up tutorial on this look. It is so natural and you look so pretty (and happy) in these pictures. Love the pictures! They represent this beautiful atmosphere there! you are such a natural beauty Annie! you're glowing! I have spent my whole childhood in Dubai and its on of the most wonderful places to live in. I've been to the souk! I stayed in Deira aswell! Annie you are glowing! And I absolutely love your printed trousers! Where are they from? Whoever took those photos of you has a great eye. You look absolutely stunning and I love the composition of the photos. These pictures are wonderful, they are so lively, I can almost feel I am there. You are the most beautiful! Great pictures, and you look so amazing without make-up too! Shopping in Dubai is one of the most amazing experience. The Gold Souk, Khan Murjan, Souk Madinat Jumeirah are some of the best one's. You have a lovely blog dear. Keep Smiling & Keep Sharing. Actually, i'm looking for new ideas how to improve our home, so i started reading blogs. Last time I renovated, I purchased some stuffs on myvista.ae and I got a cheaper price.